Comments: These are vegetable plants and are grown to be harvested and eaten. Leaf pieces are interesting in green salads. 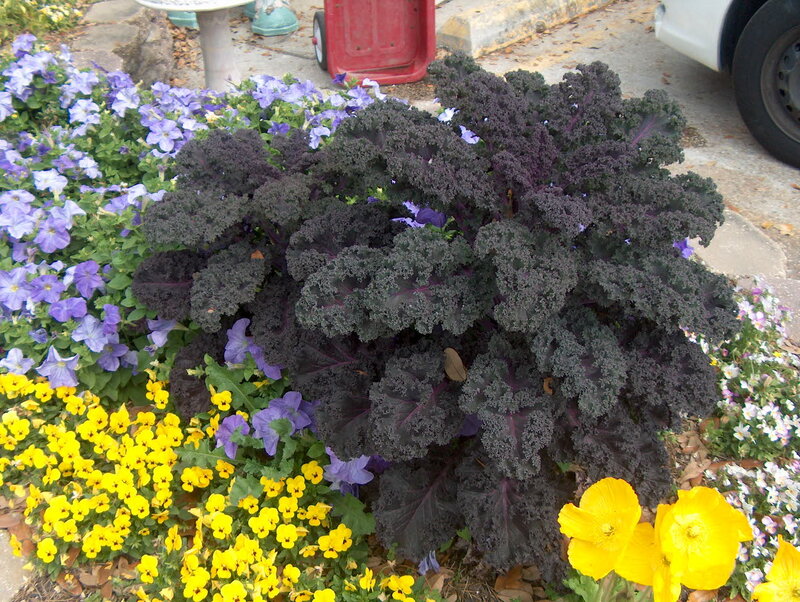 Have value as an ornamental as they have beautiful,large, colorful, and curly leaves. Be sure to plant early so growth can occur before hot weather arrives. Plant in November in the South and early spring in the North. As the leaves are harvested form the bottom, the heavy stem is seen.